Whether you are shipping your car to or from Tennessee, Best Price Auto Shipping is your online source for getting the BEST PRICE on shipping your vehicle. Fill out the short, simple, no obligation quote form to the right, then start receiving and comparing your auto transport quotes. Do you need to ship a car to or from the State of Tennessee? Tennessee is one of the most beautiful states to live or visit in the United States. Maybe your are relocating to Tennessee or just need to have your vehicle transported to or from here, either way at Best Price Auto Shipping we will guide you through the entire Tennessee auto shipping process. Whether you need to ship one car or multiple vehicles we got your covered, just simply fill out the short, simple quote form above, or call 800-691-2347 to start receiving Tennessee auto transport quotes. You might be interested to learn a few fun facts about the great state of Tennessee is located in the upper south of eastern United States and is only 112 miles (180 km) wide. However, it stretches to a length of around 432 miles (695 km) from the Appalachian Mountain boundary with North Carolina in the east to the Mississippi River borders having Arkansas and Missouri in the west. Tennessee shares borders with Virginia and Kentucky and separates them from Alabama and Mississippi to the south. Tennessee is the 16th state to join the United States of America and officially it obtained statehood on 1st June, 1796. Tennessee bears the nickname; “The Volunteer State”. The reason behind the nickname is that in the year 1812, large numbers of residents in the state volunteered to participate in the war against Great Britain. At that time, however, the war was not fought but later in the year 1815; General Andrew Jackson led 2000 volunteer soldiers from Tennessee and won the battle against the British at New Orleans. Tennessee covers an area of approximately 42,144 square miles (109,153 km2) and is ranked 36th in the U.S. in terms of area. The population density in Tennessee is quite high and it is the 17th most populated state in the country with a population of around 6,549,352 according to the estimates of July 2014. Nashville is the capital of Tennessee and also the 2nd biggest city in the state by population. According to the official estimates of 2013, Nashville has a population of approximately 634,464. Memphis is the biggest and the most populated city in the state with a population of around 653,450 according to 2013 estimates. Other major cities in Tennessee are Knoxville, Chattanooga and Clarksville, each having respective populations of 183,270, 173,366 and 142,357 according to July 2013 estimates. Nashville has warm weather in summer and it gets as high as 89°F (31.8°C) in the month of July. On the other hand, in winter, Nashville offers a cold weather with the lowest temperature around 28°F (-2°C) in January.Tennessee has a diversified, vast and broad industrial sector. Major industries in the state include healthcare, biotechnology, coal mining, automobile manufacturing, electrical power and music. Major imports of Tennessee are medical supplies, cellular phones, spark ignition engines, human vaccines and gear boxes for motor vehicles while the chief exports from the state consist of instruments for dental surgery, civilian aircraft engines and parts, whisky and artificial filament tow. Tennessee has a number of road networks and highways and also possesses numerous beautiful scenic byways. Interstate 40 (I-40) is the biggest highway that passes through the entire state in the east to west direction. It starts near the Mississippi River and ends near the Great Smoky Mountains. The highway is around 455 miles (732 km) in length and traverses the three biggest cities in the state, namely Memphis, Knoxville and Nashville. I-24 is another major highway in Tennessee which passes from Clarksville to Chattanooga through Nashville. I-75, another famous highway, starts from Chattanooga and goes to Jellico after passing through Knoxville. In terms of natural beauty, Great Smoky Mountains Byway is the most beautiful route in Tennessee. It provides amazing andbreathtaking views of mountains, plains, rivers and historic areas. Ocoee National Forest Scenic Byway, located in Tennessee, is the first National Forest Byway in the country. It passes through the Cherokee National Forest, near Parksville Lake and goes along the Ocoee River Gorge. Other famous and beautiful highways are Sequatchie Scenic Byway and Tennessee River trail; both of which provide picturesque views of beautiful landscapes, towns and plains. Tennessee is one of the cheapest states in the U.S. when it comes to fuel prices. 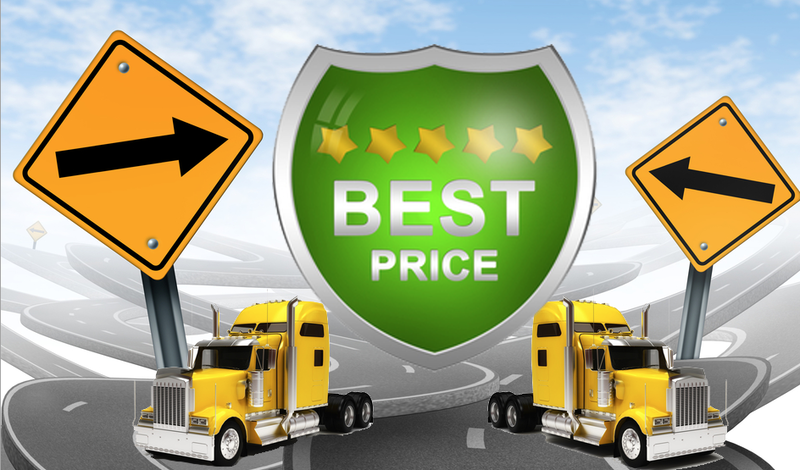 The current price of regular gasoline in the state is around $2.47 per gallon So whether you are shipping a car to Tennessee or from Tennessee, Best Price Auto Shipping has you covered.